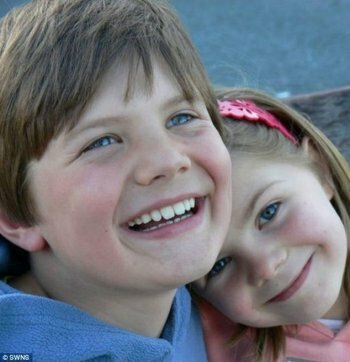 "He was 9 ½ and had been totally healthy until he fell ill with a rare autoimmune disease, which is a type of vasculitis which basically caused his kidneys and his blood vessels to disintegrate; despite the best medical care, they were unable to save his life. He was on a camping holiday in the Lake District when he first became ill and he was sent by ambulance to Carlisle, before being transferred to Dumfries (where he lived) and then onward to the Yorkhill Hospital for Sick Children in Glasgow. A week before Sam died I decided that, whatever the outcome of his illness, I wanted to do something to create a positive outcome and something that was symbolic of the incredible courage and willpower he showed in the 12 weeks that he was so ill.
With that in mind, I signed up for a 150 mile foot race over six days across the Sahara desert, known as the Marathon des Sables (http://www.marathondessables.co.uk/), which I fly out to start on the 4th April. The aim of this whole enterprise is to raise money for Yorkhill Family House (also known as Glasgow's Ronald McDonald House) through my justgiving page here: (http://www.justgiving.com/SamLeask). This is an independent charity (no government funding, no NHS funding, no funding from Yorkhill Hospital) that survive purely on donations and provide free accommodation for families from all over Scotland, Northern Ireland and Northern England whose children are being treated at Yorkhill Hospital. Sam, my stepsister and her husband benefited so much from this wonderful facility that this is my way of saying thank you. 2) to reach the finish line on the last day of the MdS the first of these is by far the most important to me. If there is anything that you can do through the school and the Old St Beghian's network to help spread word of this fundraising, I would by incredibly grateful."